Cars, Computers, Guitars, anything that makes music, or goes fast, or goes fast while making music! Yeah, I was doing essentially that via bash but that's not scale-able. If someone were doing this with a public service, you'd likely want to use a lambda function on upload of logs. I'm not sure I can quite afford that as a free service to people at the moment, but I can't think of a better way to convince people to donate logs (which is what I'm really after, ALL THE DATA!). Alternatively I could just run a small free license at home with a sftp site for people to drop logs and I could publish reports and take requests from people to show data. But I'd really rather have some help on the dash-boarding side of things as I don't have the time or the expertise to do it quickly/easily. 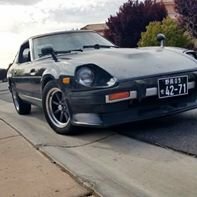 Well, if you're ever visiting home office and have time, I'll take ya for a ride in my ratty 280z. Wow, I'd just about given up on this thread.... My current status isn't any different than it was when I last spent a day at it. The biggest and most obvious obstacle is transforming the data into something useful from a time-series perspective. Splunk like other similar tools really likes data to have a valid time series format so that a lot of the logic "just works". My issue is that MS logs don't work off of something like a GPS clock which is standardized. If you don't have a RTC you don't even get good NAMES for your logs to track down a valid way to transform data. If you could be 100% sure on file naming conventions and that name containing valid time references, you could transform the time column into valid time for splunk. Once that's handled.... the rest is "easy" in that you transform/rename columns that you care about, and can also perform basic graphing, smoothing, plotting etc. I'm personally still changing my tune on an almost daily basis, so long-term data viewing isn't hugely relevant yet, but I should likely get back on this task soon. I've got a growing number of logs, and I could at least be using splunk to force my hand to name and organize them, and also have a way to easily recall data. Log ingestion is only half the battle though. Someone needs to do some dashboarding to make the data useful. In what I'd consider an ideal world, you could have a splunk instance that people could toss logs at from all variety of makes/models and you could compare logs of similar or even indifferent setups. I should also be able to drill down to a single time under WOT for a single log as a "dryno view" dashboard, though that shouldn't be the point of this excersize. The real benefit here is to be able to look at dozens or hundreds of logs in a single pane of glass to view trends and anomalies. Side note: Highstakes, if you ever work out of the SF office I'll have to stop by sometime. I've attended a couple of the monthly user group meetings, and though I don't work in SF at the moment I'm just north in San Rafael. According to what I've seen Blake (1fastZ) say recently, you could likely make 10 and have them in stock for sale for about 5-10 years... That said, the recent intake group buy had a lot of buy in, buy also had a lot of angry customers. If you can provide a complete product for cheap there tends to be interest. But a DIY product or something more than a blue collar paycheck and it's going to sit. Likely because you DON'T have a "VE" table anywhere. You have an "AFR" map as your only "fuel" map (that you've posted or shown me). There's an ignition map, but that's unrelated. So once the AFM is maxed out, the ECU likely takes that reading as it's "max flow" reading and the AFR table adds fuel on top at higher RPM where necessary. This means that in WOT beyond max AFM flow you're only operating on RPM scale, like an alpha-n would at WOT. "Your" might be a bit misplaced there. I've always used include AFR target with my setup, so I'm not exactly clear on what stupid_fast was getting at when saying "air flow would be consistent". Maybe he's seeing or meaning commanded pulse width, which WOULD be similar with VE == VE areas all other variables staying constant. But that last bit you said was the point of what I was getting at. Everything is just an approximation, and the idea of a VE table being "accurate" is a relative term. What matters at the end of the day is how the car drives with the tune. From my experience (granted this isn't my career, so there's that out of the way) there's no such thing as a true VE table. Considering this ECU seems to act like a MAF system in the lower airflow regions, and an alpha-n style of handling of high flow areas, there's no reason it needs to be a true VE table, but it does need a way to account for fuel beyond the capability of the AFM. I'm just pointing out that even in a perfect speed density setup, VE tables rarely if ever look like what the actual VE of the engine is. There's a myriad of reasons you use the VE table to adjust for other aspects that cause the math to not work perfectly. Idle is a great example. Who cares what the VE actual is? Looking at the curves, it's never "correct". You set the VE to what it needs to be in order to get the engine to idle nicely, because idle is an inherently unstable condition. Are your injectors perfectly linear? No. Is your fuel pump and pressure perfectly linear? No. Are the variances in expected thermal transfer ideals and reality? Yes. Unless you can put ALL your sensors INSIDE THE CHAMBER with absolutely ZERO unintended environment impact, you're going to need "non math-scientific" adjustments to get the results you want. As much as the block can handle But really, I know this isn't EXACTLY like a K head in any sense of the word, but if we let the four cylinder crowd bench race for us, I think 600hp on pump gas at around 16-18psi wouldn't be unreasonable. Going beyond that you'd better have done some serious prep to keep bores round and such. Consider that people have made 600+ hp on the factory manifold. Ported, yeah, but I think for your goals the inlet restriction will be largely inconsequential. You MIGHT see some issues at high RPM if you can get towards the top of the turbo's pressure ratio map. Otherwise, I bet you won't notice. And keep this in mind... Pressure in the manifold can actually be MUCH higher than inlet boost pressure before significant power is lost. Ignition For Boost: I knew my ignition table was "not good" for raising boost. I'd made zero attempt at fixing this in any way as of yet. Well I found myself working on my dash in tunerstudio with some time to kill so I freshed up my knowledge on how much timing to pull, how people attack low versus high boost scenarios, and so on. I decided that for me, using a .75 degree timing pull per psi, while maybe a touch aggressive, would be a good place to start to see how the map looks and then responds at mild boost increases. Also, I'd found from a couple of sources that in many engines, the 0-4psi range you can essentially ignore timing pull compared to atmospheric. So I generated a quick excel calculator to normalize my data, and adjusted my 100-300kpa cells using 150 as my "normalization point" since the engine runs well with those current figures. Some of the timing figures end up sub 5 degrees, even at or under zero in the 300KPA region. This also got me thinking about how I'm not going to be running that much boost, ever, I should hope. If anything I'd be using overboost protection anywhere near that range. Even 250 was a bit much, but seemed valuable to have a "just in case" safe dead zone where I can pull timing if I ever get there. So after adjusting the values of my table, I then rescaled it, so be warned the KPA ranges don't mesh with the first posted graph. At any rate, here's the resulting table: You might also notice I modified/simplified the 10-60kpa range. I wanted to make it more of a "blank slate" for doing some cruise tuning in the coming weeks, and decided to get it closer to a common distributor curve which will also make it really obvious what cells I've changed since they're all even intervals now. I'm not hugely concerned about being 100% perfect here in the cruise space, as it's not uncommon for engines to make the same torque in a huge timing window. I just want to ensure I maximize economy when possible so I'll revisit it when I'm putting more miles on the car. Update: MAT Air Density Table So I wrote a bit of a write up on this topic here: http://www.msextra.com/forums/viewtopic.php?f=131&t=58903&start=20#p538309 And the short of it is that I was having different AFR in different gears with all environment variables being the same. (pulls done in similar time frame so Baro/Temps were the same, same stretch of road, same MAT temps at cruise before start, same CLT). This was more than a little troubling, because it was A LOT. My AFR in 5th was about .8 of an AFR point leaner than 3rd gear. I'd also only been having detonation in 4th and 5th (go figured). After a bit of research, I modified my MAT table. Provided base map looks like this: First off, I don't know who on earth has intake air temps in the -40's.... And sadly, this table (and possible MS in general) maxes at 300F, which I fear I might go over in some circumstances. We'll see. Here's where I'm at now: My theory as to why this was necessary has two aspects that need to be considered. 1: The higher the load on the engine (as applied by road/dyno/etc, not KPA load) and thus slower it revs, the more time intake temps have to transfer temps from the manifold/piping/cylinder head.Thus, the further upstream your IAT is from the valves, the more difference is likely to be created in higher loads. 2. The higher the IAT temps are at your sensor, the less likely they'll radically rise before reaching the valve. On this second point: Temperatures change faster when there's more difference, it's just basic laws of energy transfer. The closer the temperatures get, the longer it takes to transfer a given degree of Fahrenheit (or other scale/unit you like). If your cylinder head is at 250 degrees, and your intake is at 230 degrees, and your IAT/MAT temps are at 80 just after your intercooler, you can BET MONEY that the temps inside the chamber will be MUCH higher. Conversely, if your air temps are at 170 because you don't have an intercooler (like me), then less heat will be added. The idea of adding this "ideal gas law" modifier into your tune to compensate for inlet temps is definitely important, but I think it's short sighted to use the actual "theoretical perfect" as provided. No engine will ever operate like this unless you have temp sensors IN the chamber, or at least have everything ceramic coated with your temp sensor in the intake manifold with some way to prevent heat soak of the sensor. The downside (maybe upside) to doing this, is that my VE table was way off again. So here's the updated VE: That table only has minimal auto-tune on it to get it into the ballpark. Don't use it, or think about it, or judge it. I'm just posted it to compare against my above table to showcase what a huge difference the MAT curve can make. Edit: Oh, and I guess I should mention, now my AFRs are within .1 of each other between 3rd and 5th (for the most part, other small variances of course). What's your plan to smog it? Still has the SR right? With any luck we'll have good news in a week and it will be a non-issue. Progress continues on. Oil AND fuel pressure are wired in now, so I'm officially down to once ADC left on MS3X. Been working on a racepak inspired dash. Otherwise been putting miles on the car as much as I can. Gt2871 .64 a/r @ 10 psi on l28e+t - potential boost creep? You going to be running factory EFI? In and case it sounds like you've got realistic goals and such. Keep looking around here and you'll likely find answers to most your questions. Also never hesitate to reach out to our more active members. Yeah I understand. For what it's worth I think a stock turbo motor is at about 94VE peak starting to trail off at 5300 or so and dropping down as low as 65-70 by redline. Improving top end flow with a better cam, valve unshrowding, and bowl clean up will help immensely. And thus hitting your projected 225whp at 10psi would be much easier. Though I don't think that's beyond reason with what you've mentioned. Boost can creep in low and high boost situations depending on the airflow profile of the engine and size of wastegate. Using matchbot (Google it) I think you're going to last at about 50% wastegate actuation from 4-7krpm. This is assuming the wastegate port is about 1" or 25mm and using the turbine flow map found here: http://turbochargerspecs.blogspot.com/2013/02/garrett-gt28rs-gt2860rs-62-trim-360-hp.html?m=1 Learn to use matchbot. It's extremely useful.